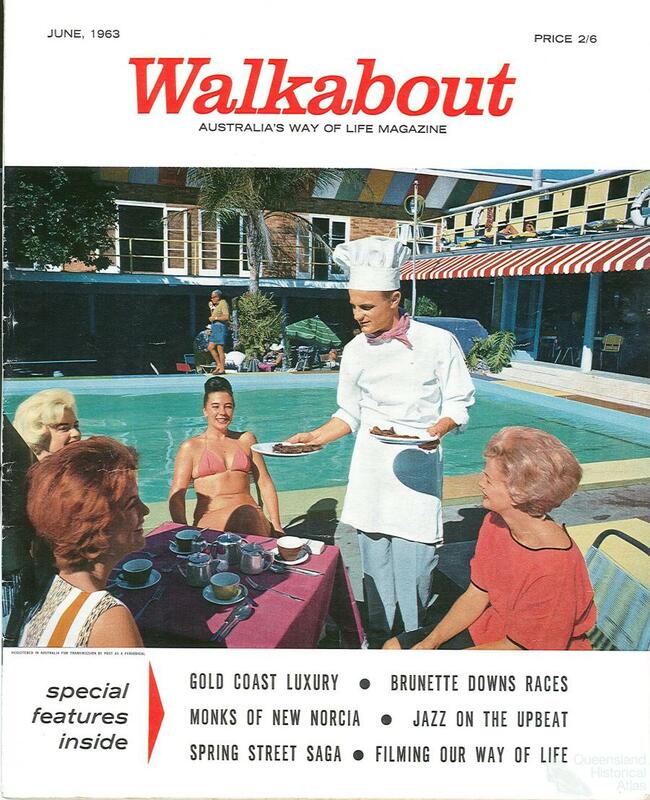 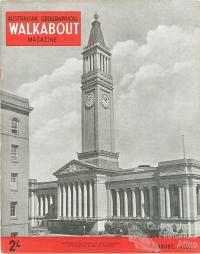 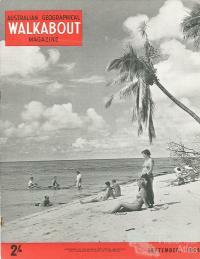 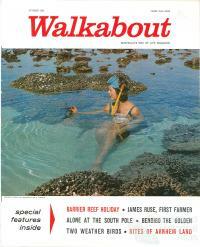 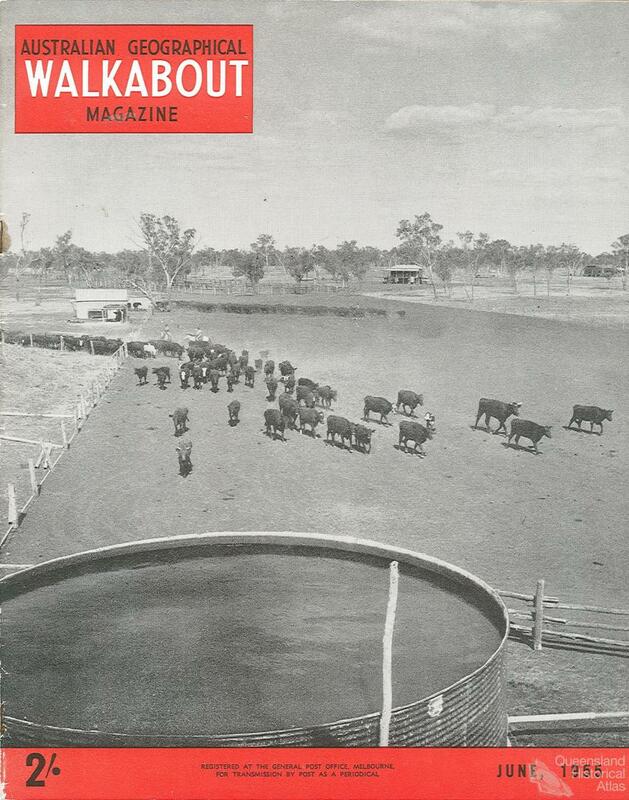 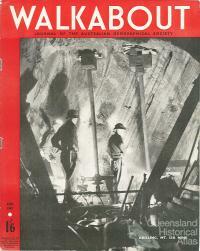 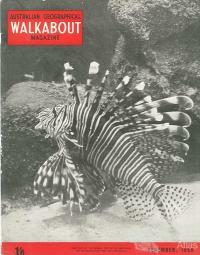 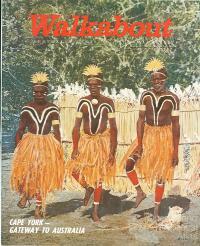 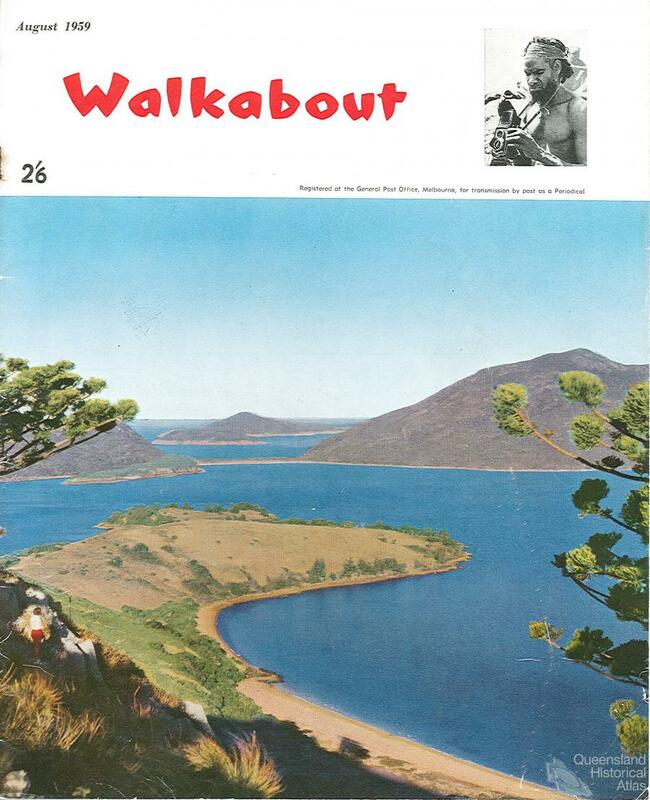 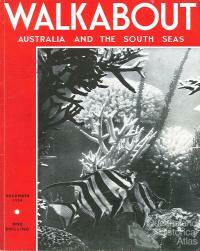 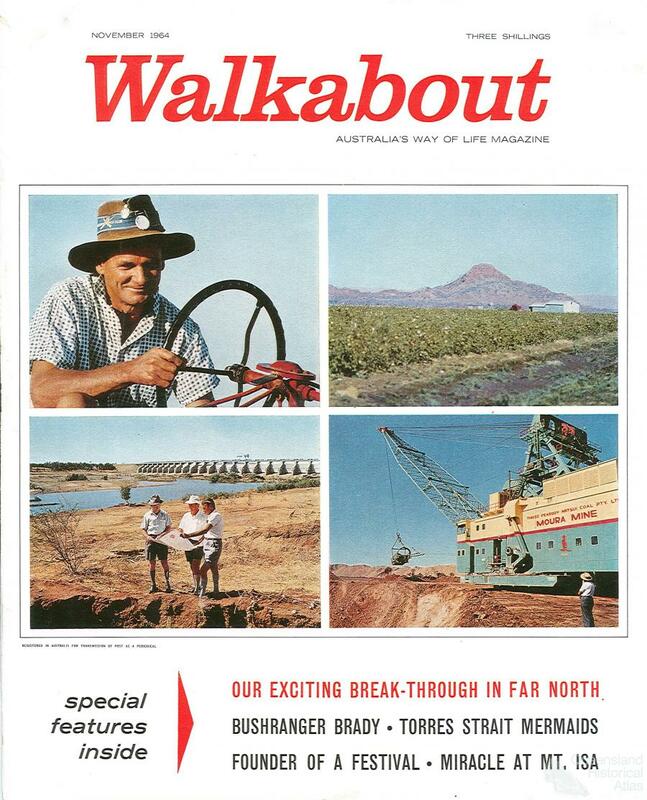 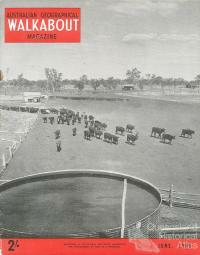 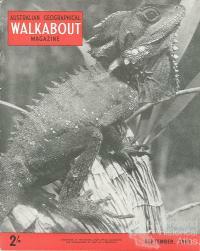 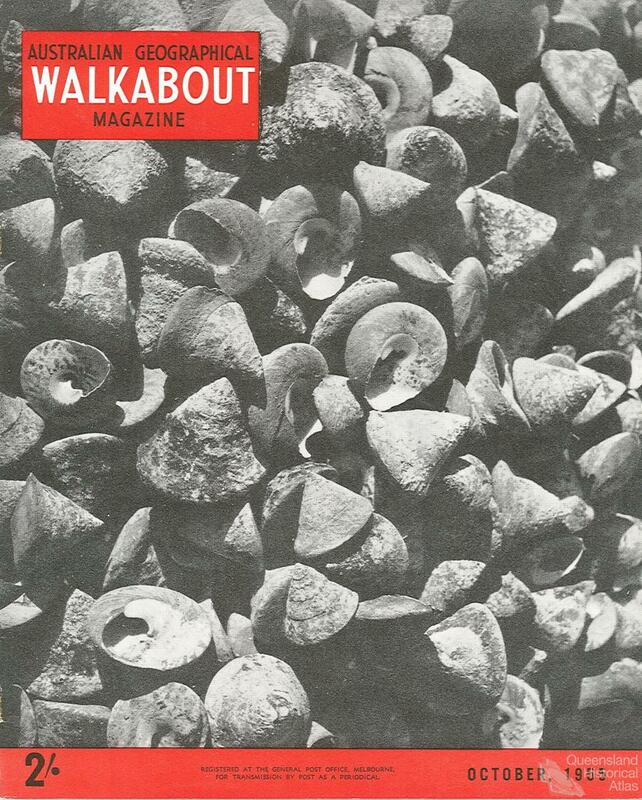 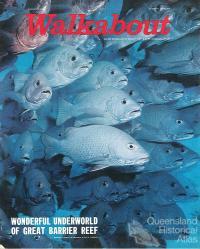 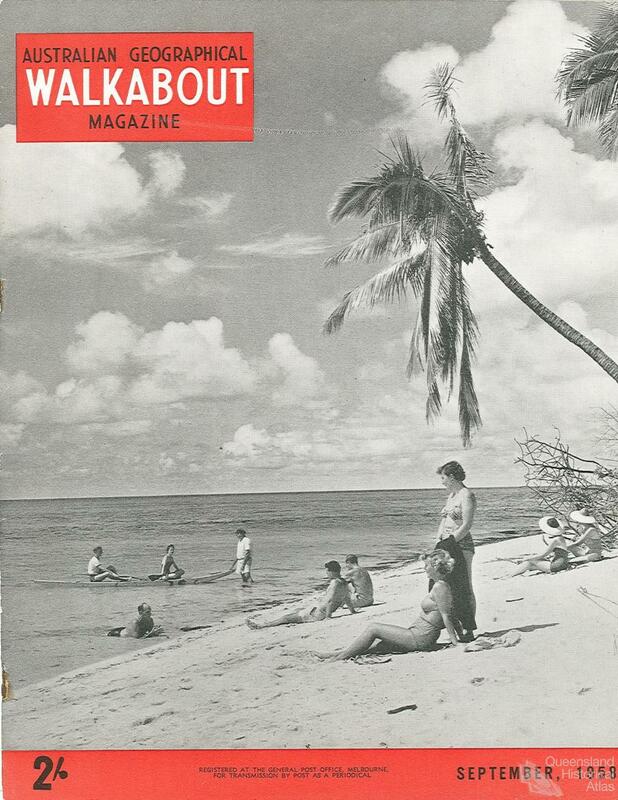 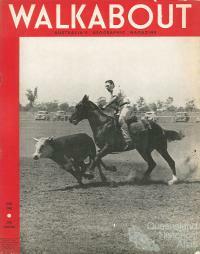 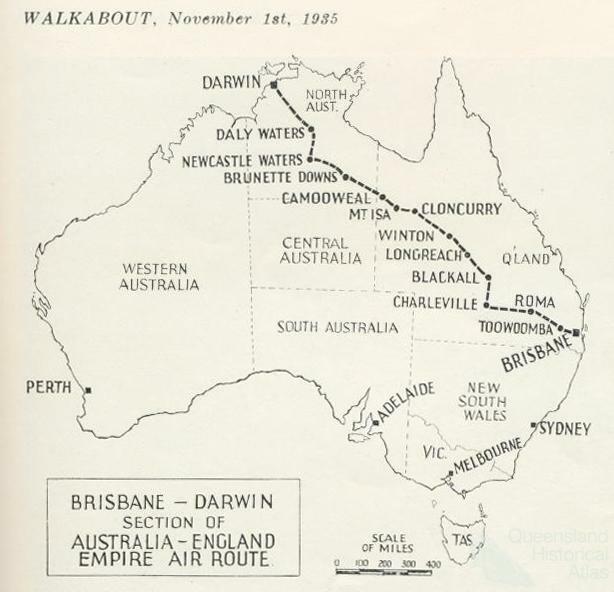 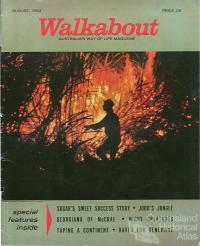 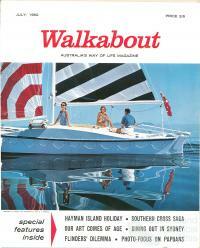 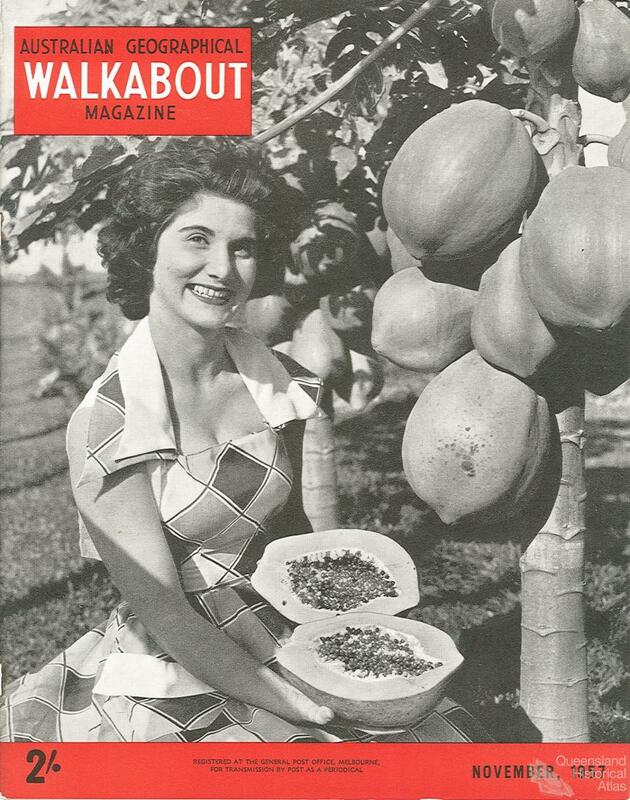 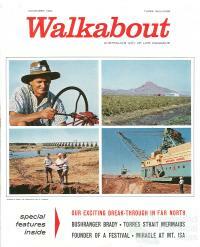 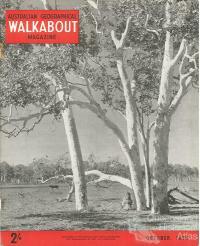 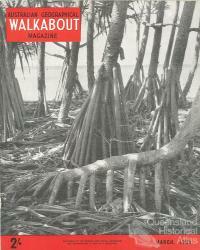 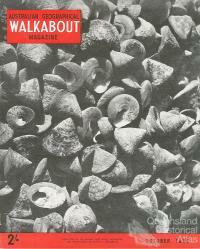 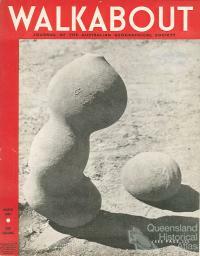 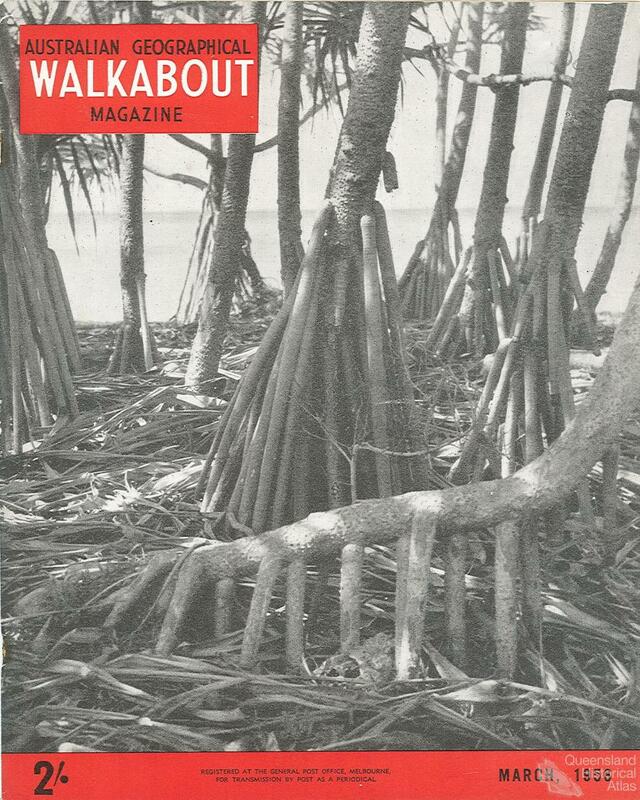 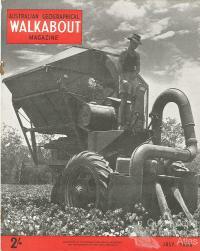 The popular national travel magazine Walkabout (current 1934-74, 1978), produced by the Australian National Travel Association in Melbourne, contained many stories on Queensland. 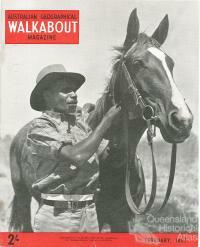 These stories helped shape the national perception of Queensland. Widely circulated, Walkabout was to be found in the waiting rooms of dentists, doctors and even hair dressers. 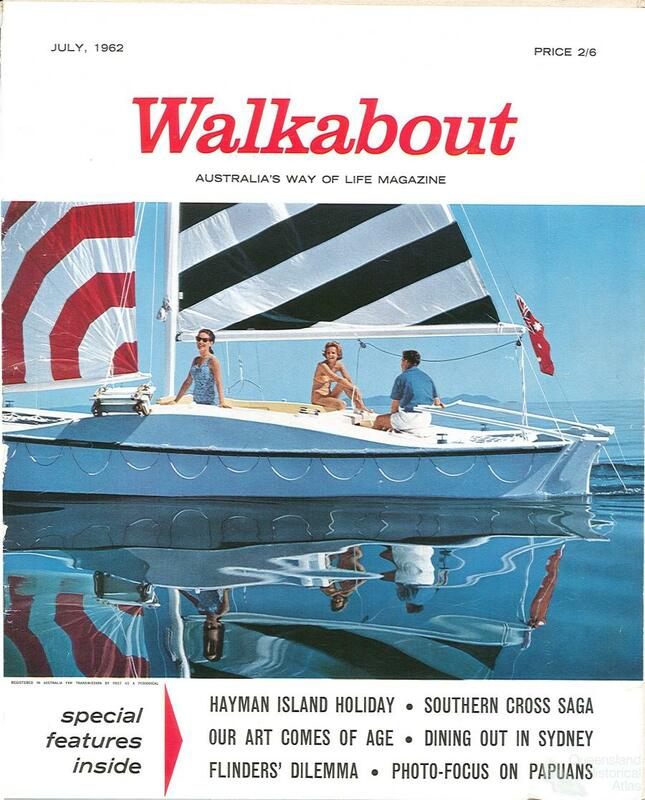 The magazine's income came from a combination of subscribers and advertisers, which included shipping companies, airlines, state railways, state government tourist bureaux, and from the late 1950s car manufacturers. 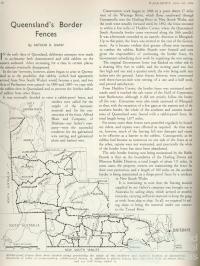 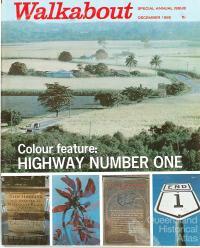 From early on in its history the magazine occasionally featured small scale locality maps to familiarise the reader with the geographic area under discussion. 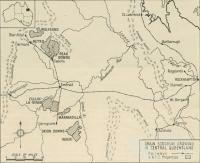 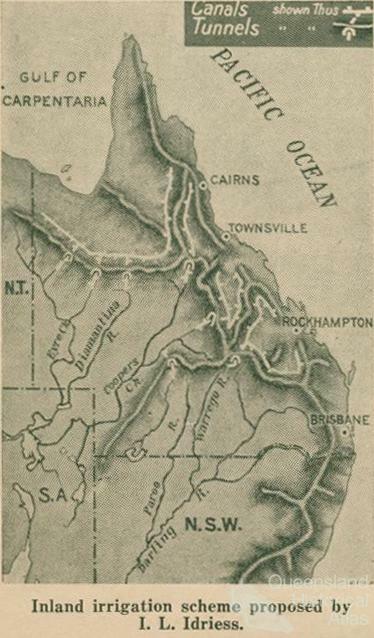 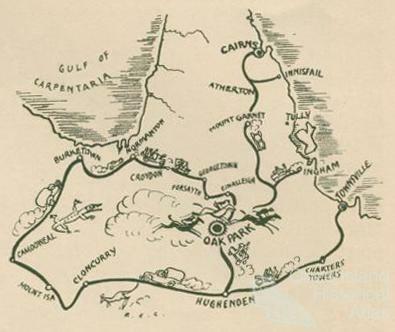 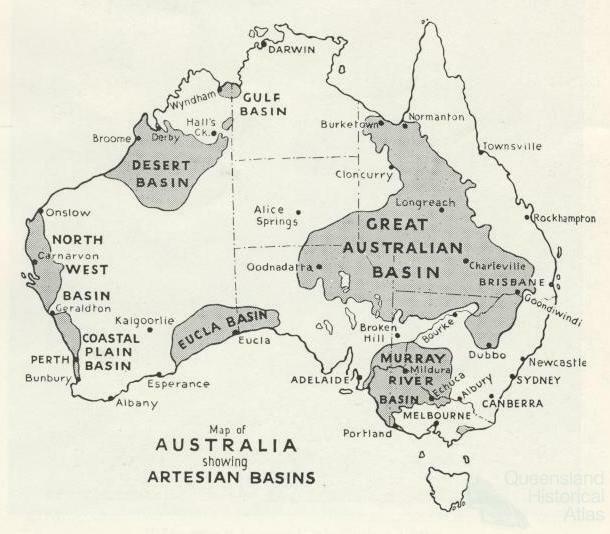 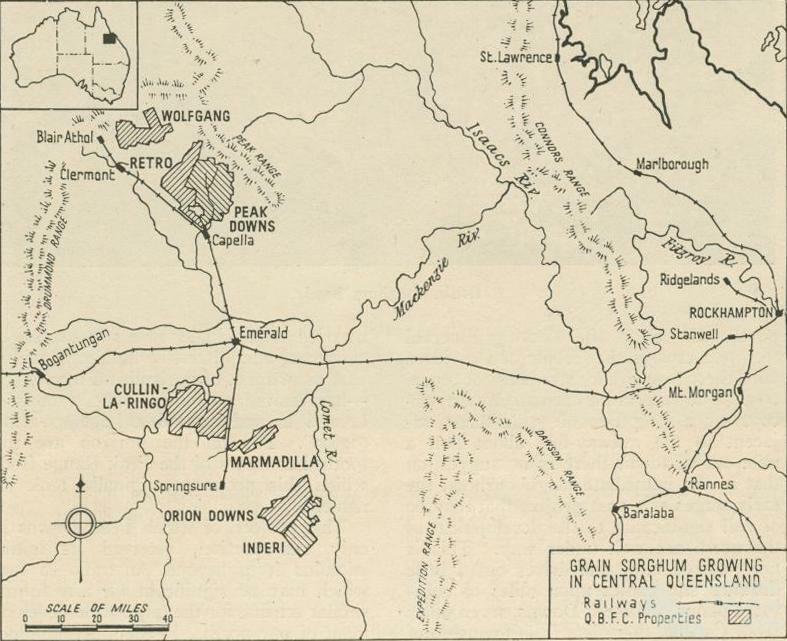 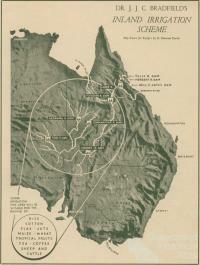 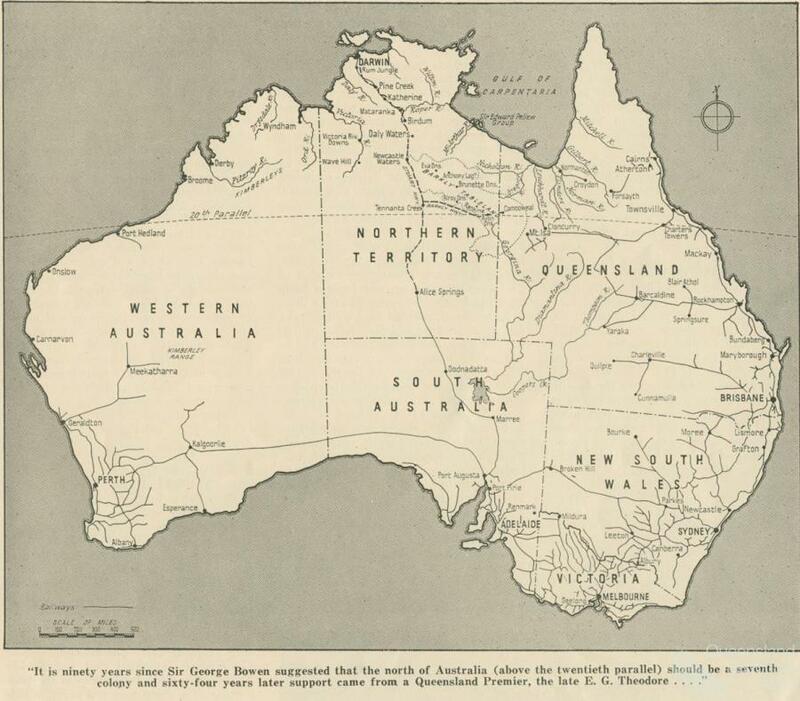 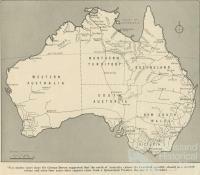 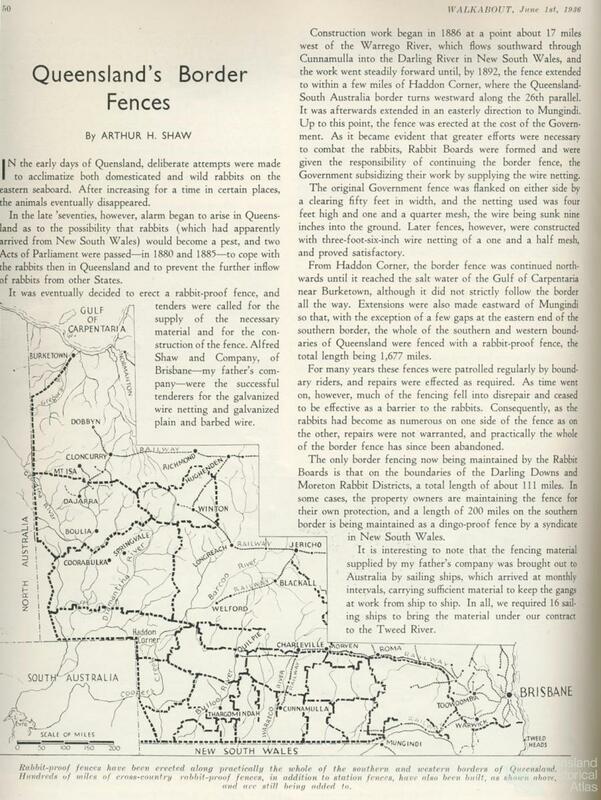 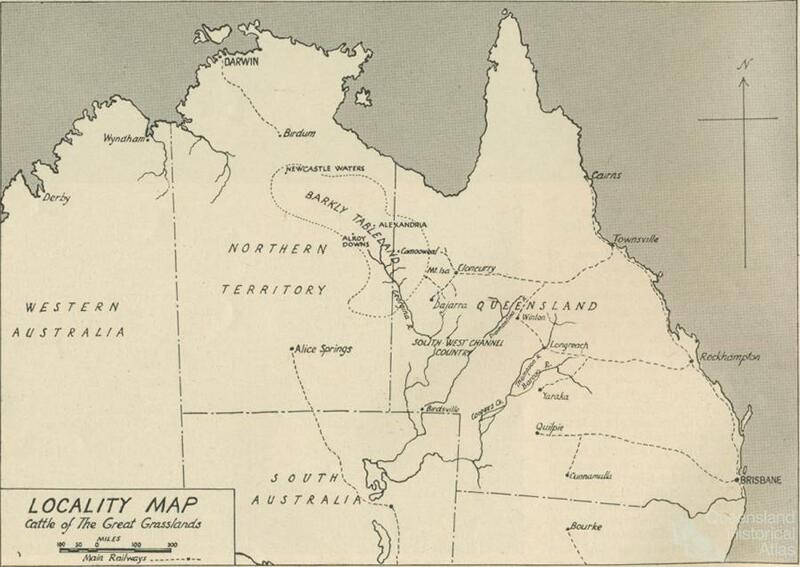 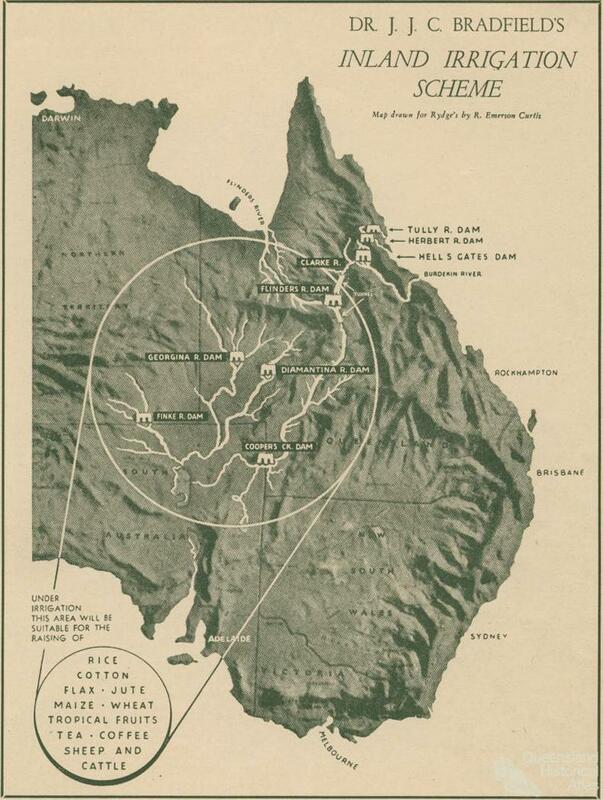 From the 1940s some thematic maps were produced including the Artesian basin, mail routes, irrigation schemes, rabbit fences, cattle lands, the Queensland British Food Corporation properties, flooded areas, cotton and cyclones. 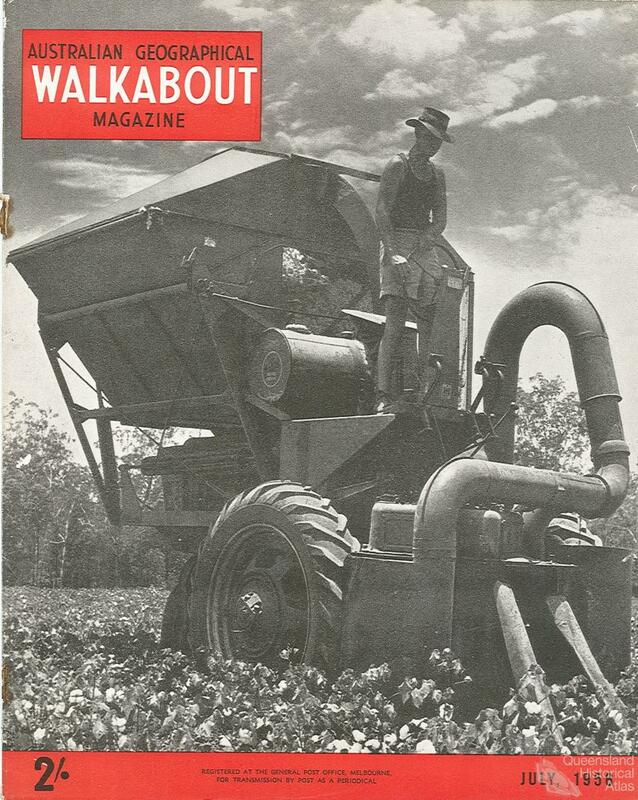 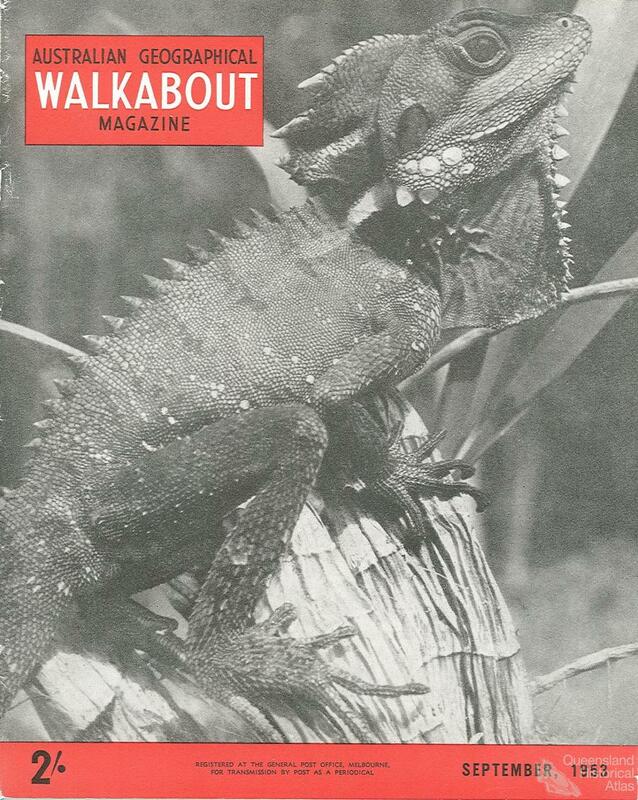 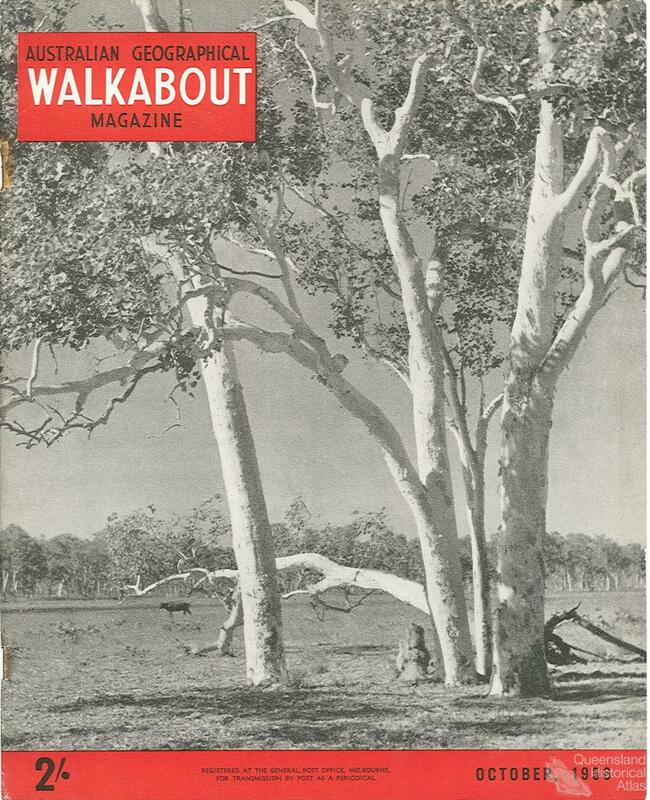 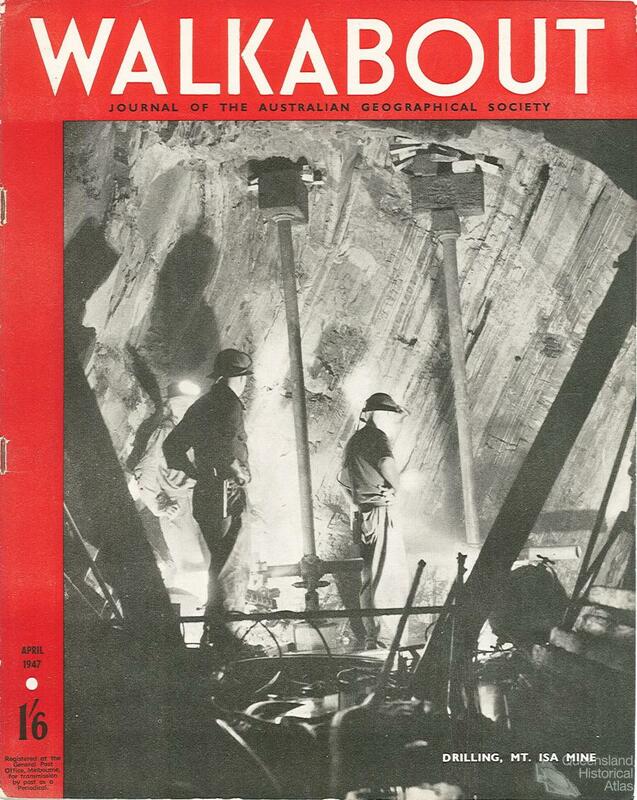 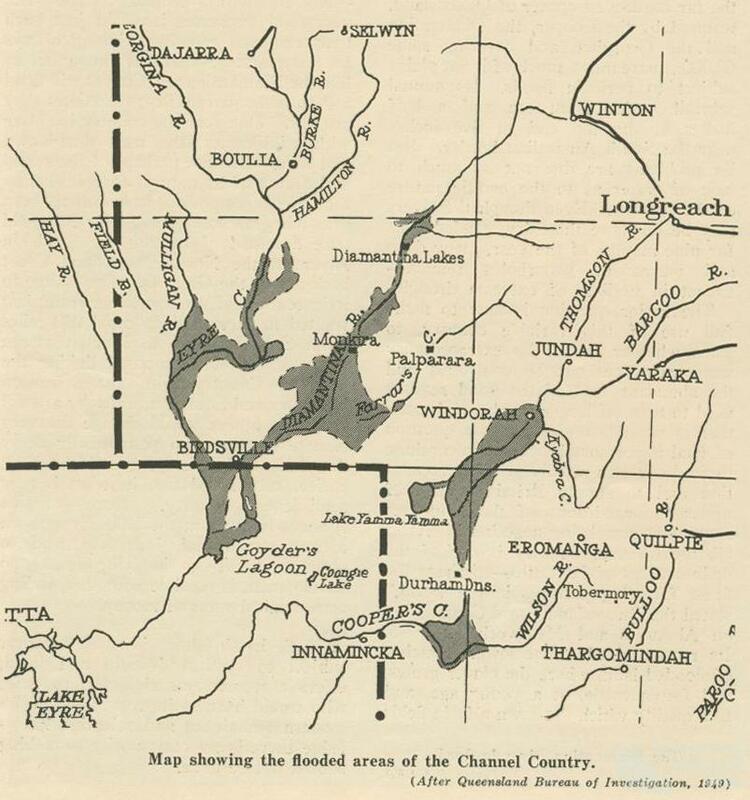 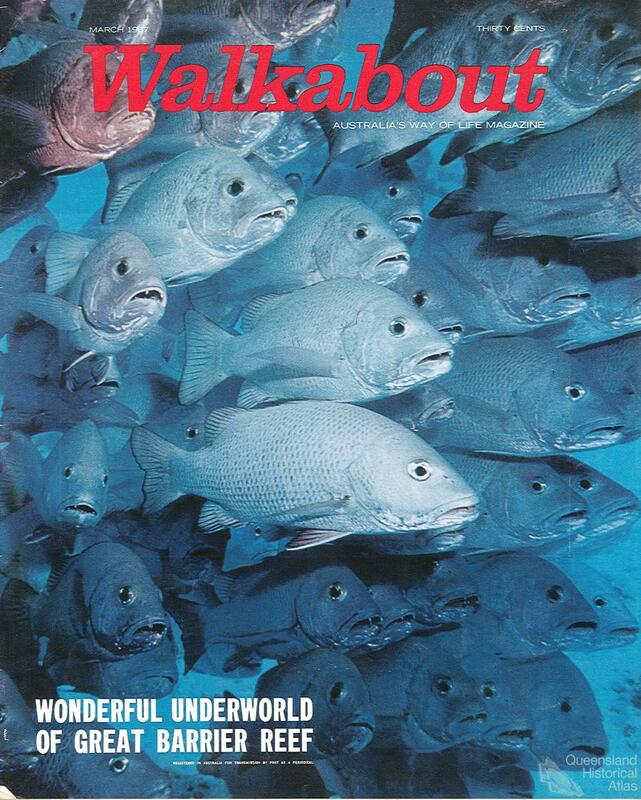 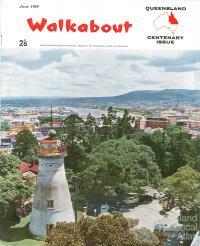 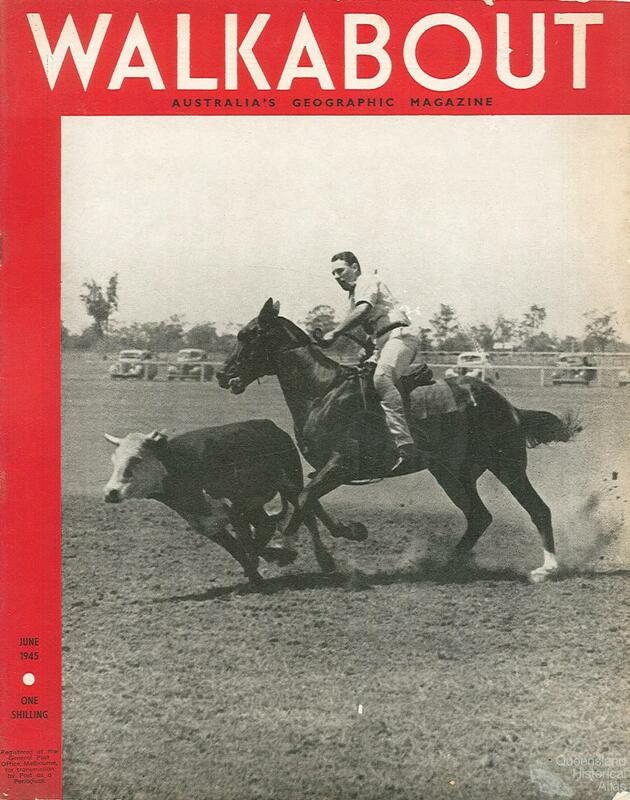 When Walkabout moved from black and white to colour production in the late 1950s, and adopted a larger format after 1962, it began to publish one-colour maps of topics such as Leichhardt’s expedition, the Bunya Mountains National Park and the Bradfield irrigation scheme. 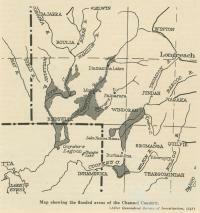 These maps were attributed to M.V. 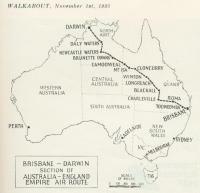 Lorman, of Mapping Systems Brisbane, who drew them especially for Walkabout. 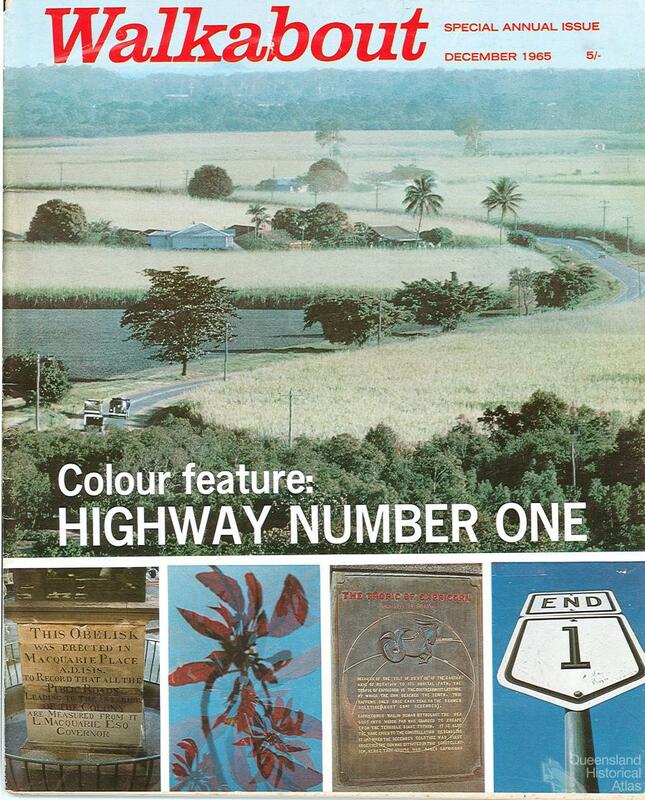 After 1966 the style of maps was simplified, returning to a straightforward locality map until the magazine, suffering rapidly falling sales, ceased publication in 1978. 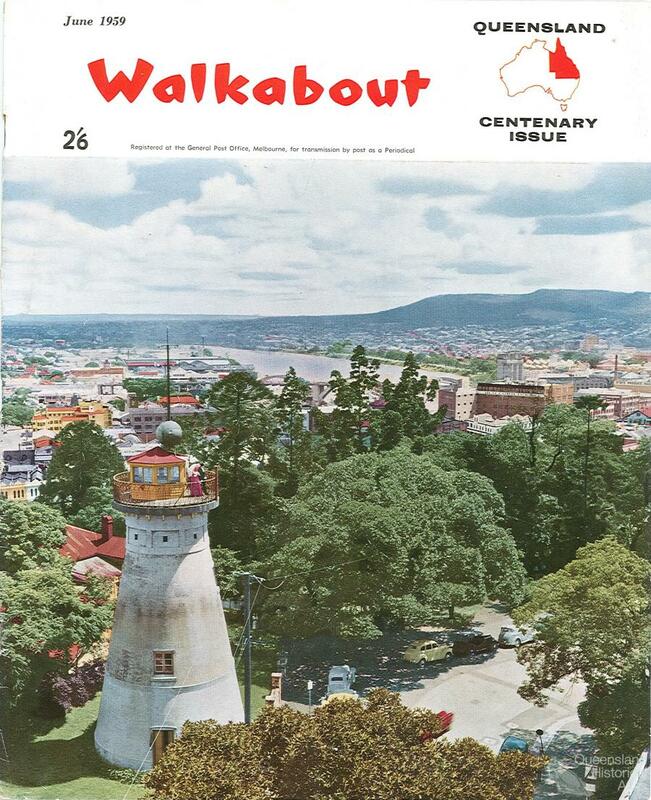 The December 1964 issue featured a souvenir full page colour map of Australia from National Mapping, the Federal government’s cartographic arm, in Canberra. 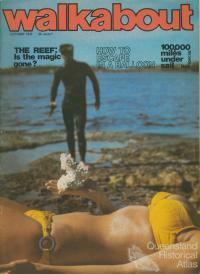 The magazine only used photographic images on its cover. 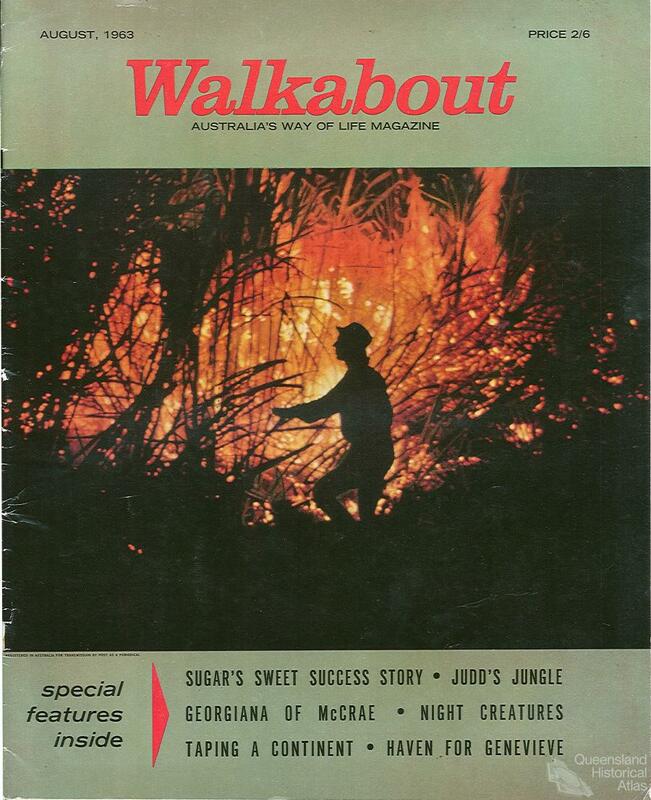 While following in the footsteps of the National Geographic, Walkabout focused its attention on Australia and the Pacific. 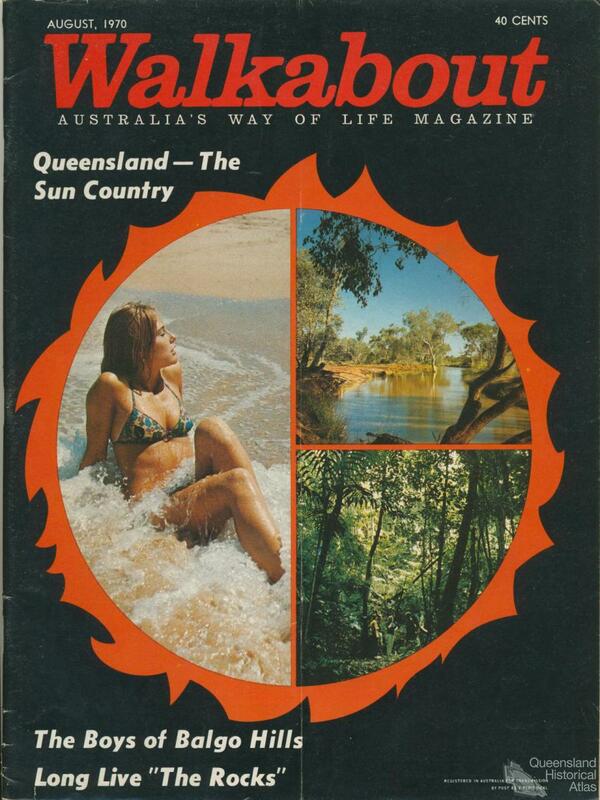 In all there were about 500 issues of the monthly magazine produced and about 29 featured Queensland on the cover – but which Queensland? 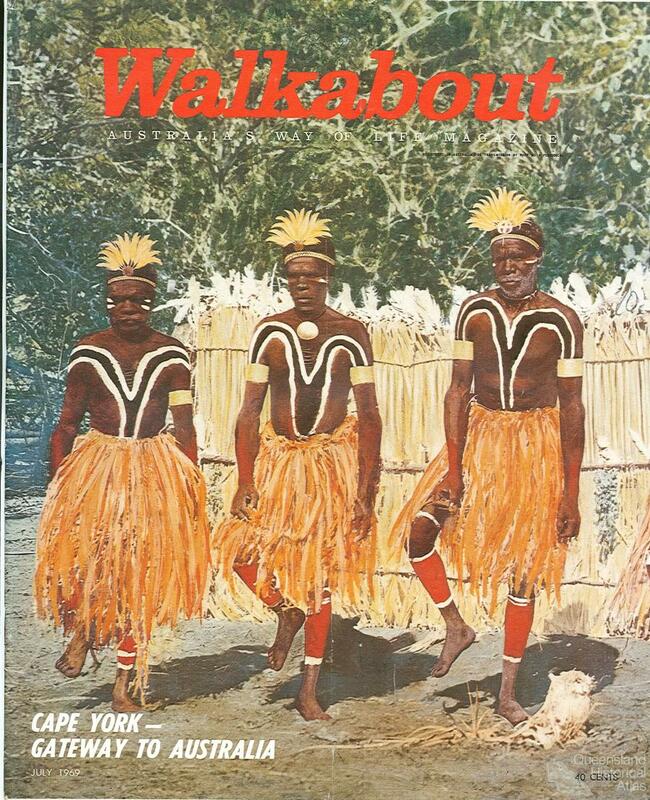 Cover photographs were often taken by authors in the field – including the textile artist Olive Ashworth (1964), and anthropologist Donald Thomson (1969). 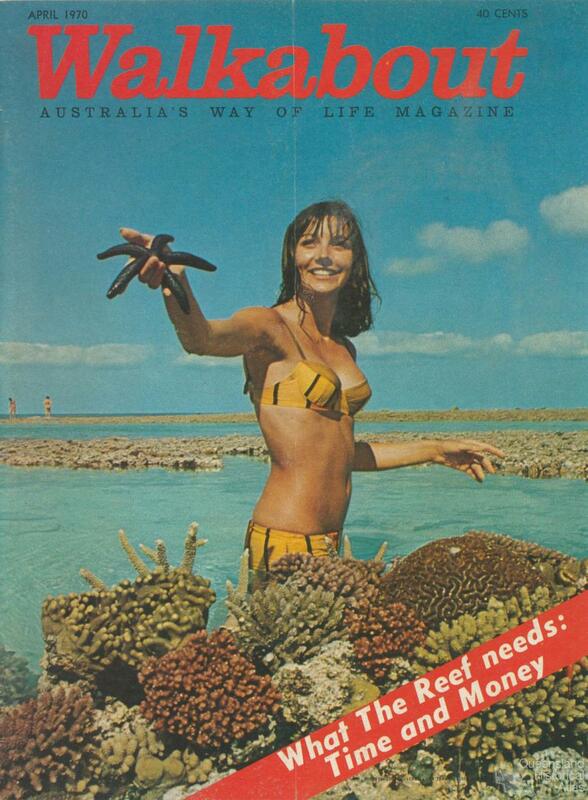 While the Reef featured on more than one third of the Queensland-related covers, images from the developing cattle, cotton, sugar and mining industries gained national exposure in the 1950s and 1960s, taking over from images of the natural world. 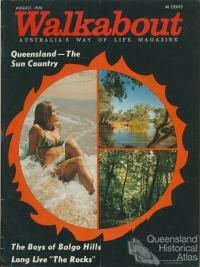 Gradually an image of the Queensland ‘lifestyle’ came to prominence. 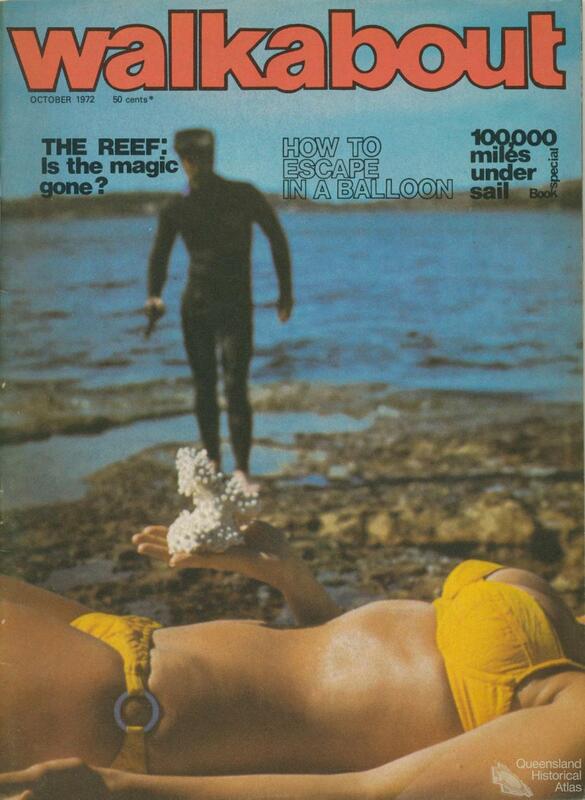 The magazine moved to colour covers, but its large format proved expensive to print, so it switched to a smaller format in the late 1960s, but failed to maintain its readership. 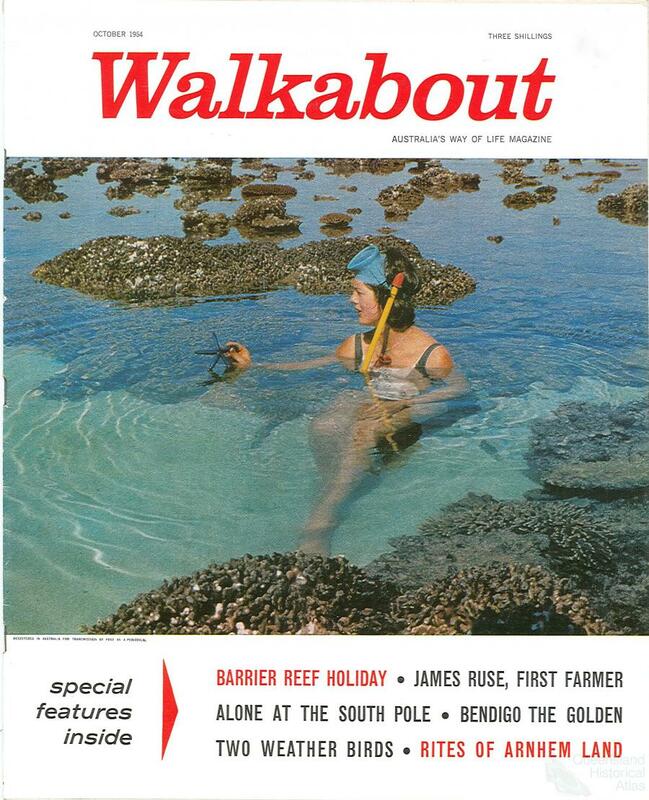 By then even the title, Walkabout, seemed old fashioned, a throw-back to a previous Australia. 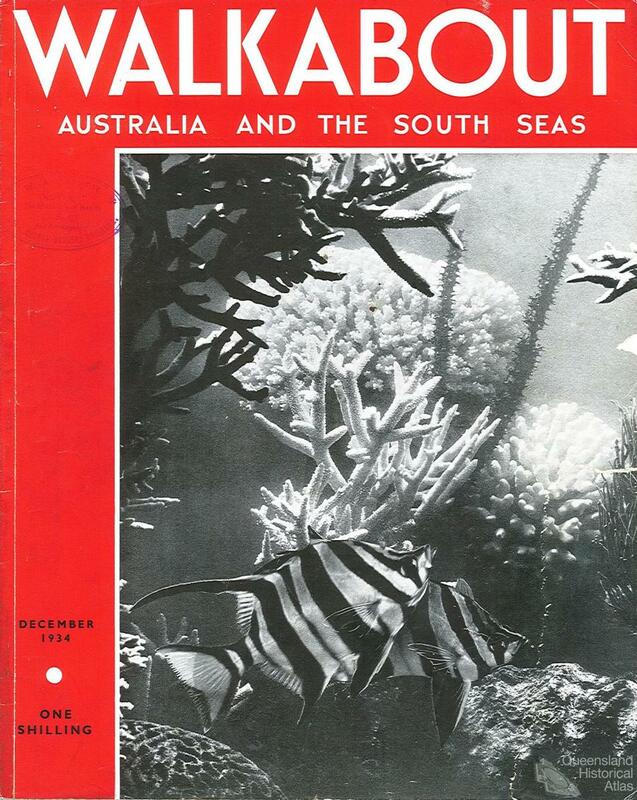 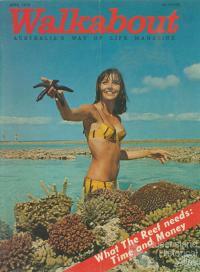 The federally-funded Australian Tourist Commission, set up in 1967, took over the magazine but saw direct advertising in overseas source markets, including the United States and Japan, as a better investment than publishing a magazine that read more and more like a rather faded travel brochure.